We are a team of company registration professionals who are passionate about bringing the dreams of aspiring entrepreneurs and SME’s to life. We believe in providing you not only with your company’s documentation, but also equipping you with the necessary tools to promote, develop and grow your business. We are a business setup company with a difference – our work doesn’t end with the issuance of your trade license & residency visa – it starts there! We have extensive experience helping high net worth individuals and families, companies and startups to establish a solid presence in the UAE and abroad. Transparency, Efficiency and Discretion are the key values we have been nurturing throughout the years. We are proud to have made life easier for hundreds of clients delivering tailor made solutions in the shortest amount of time. 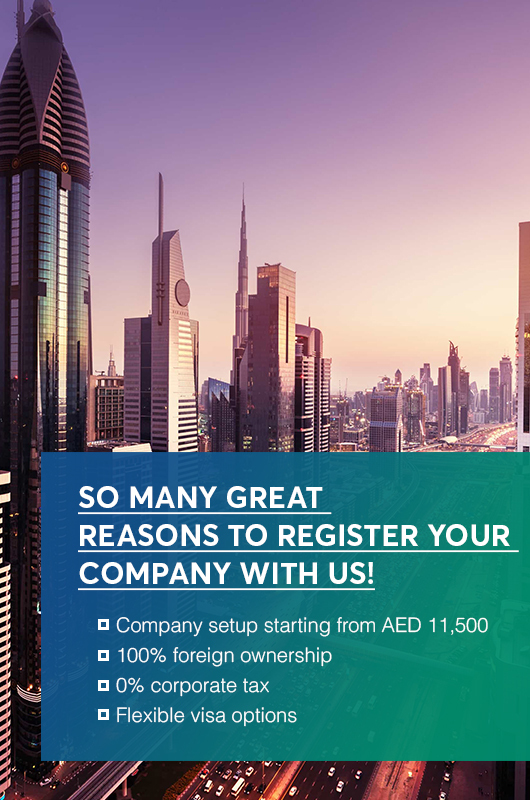 WHY EBS – Setup Dubai Business? We offer some of the best services in this industry and we can take care of all your company formation requirements. Our rates are highly competitive and can be afforded by business firms of all kinds and sizes. We also offer special packages from time to time that can help you to setting up a business in Dubai at slashed prices. Based on the type of company that you want to form, we can offer you bank account opening services that can represent your business. We can also act as the local representative and local sponsor for your company in Dubai or anywhere in the rest of UAE. We have worked in this industry for many years and this enables us to serve the needs of our customers in the best possible manner. We have numerous previous customers who can vouch for the quality and efficiency of our services. When you get in touch with us for the first time, we can offer you free consultation services to guide you in your company setup Dubai process. We always maintain complete transparency when it comes to managing the paperwork and formalities associated with the process of company formation in UAE. We ensure 100% ownership for all our clients. We have a well-developed customer support system to take care of all your business needs.